We are going to need screenshots of your Layout options, so we can see what sidebars are where and also of your widgets. Please use a image hosting server like imgur to add screenshots to your posts. And if deactivating plugins can help, I am going to do it, just tell me. Can you provide a screenshot of your PageLines Framework template area where you have selected the sidebars to be used on that page please. Also, please use imgur or a similar image hosting service. OK, can you PM your admin username and password so I can log and take a closer look. Danny: Removed user login details for security reasons. shall I deactivate right now the active plugins? I have just this moment, logged into your site and you had no widgets in your Secondary Sidebar? That is the cause of the issue. 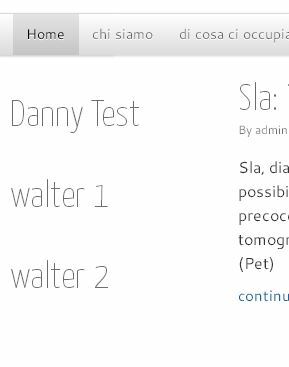 I have just this moment added a text widget with some basic HTML saying Danny test and it works as intended. and it' all right now! Awesome and no problem, happy to hear the issue has been resolved.